Even Casinos lose money. 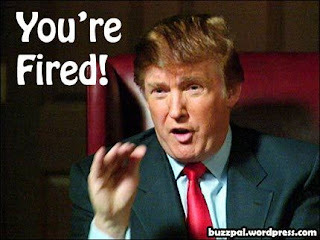 Donald Trump fires himself from the board of companies. The rich are not immune from the crisis. (Reuters) - Trump Entertainment Resorts Inc, Donald Trump's casino group, filed for Chapter 11 bankruptcy protection on Tuesday, court documents show. The casino operator had assets of about $2.1 billion and total debts of about $1.74 billion on December 31, 2008, it said in its filing with the U.S. Bankruptcy Court for the District of New Jersey. Nine affiliates of the casino operator including Trump Plaza Associates, Trump Plaza Associates, Trump Marina Associates and Trump Taj Mahal Associates simultaneously sought protection, according to the filing. The company missed a $53.1 million bond interest payment due on December 1 as a sharp downturn in consumer spending hit casino revenues. Donald Trump said on Friday that he had decided to resign from the board of the company due to disagreements with bondholders who wanted the casino group to file for bankruptcy.